So last time I was here, I was just entering the interview trail and I am so happy to share that I am now one interview away from being done! I received 16 interview invites total and accepted 11. Over the last 5 weeks, I have been to 8 different cities in 5 different states. Since Chicago, the family and I [read: minivan renting, road trip driving with a 4 year old and 4 month old] have been to North Carolina, Michigan, Indianapolis (lol), and Georgia. Thankfully, all of the trips went on without a hitch - aside from the snowfall that increased the duration of our supposed-to-be-8-hour Atlanta road trip by 7 hours and the three hour flight delay on the way home from my interview in North Carolina round 2. It has been an exciting but EXHAUSTING time. Just to give you an idea, I haven't spent a weekend at home since November 2nd o_O My busiest week was two weeks ago week when I had an interview in Indy on Monday, Detroit on Wednesday, and Atlanta on Saturday. The last two months have been quite the blur. But it has been really great to visit our family who lives in and around my Midwest interviews and it has been awesome to experience some Southeast life now that we are in full-fledge winter. I cannot believe Christmas is next week. When I say I am not ready...I am NOT READY. Somehow the hubby and I need to find time to shop for the kids. Oh, and I need to put ornaments on the tree. And pretty much put out every other decoration I have. Don't judge. I haven't been home more than 48 consecutive hours since November...After I finish this research paper draft for my December elective, and mail out the backlog of thank you notes I have to write from interviews, I have a dreams of a Pinterest-filled Christmas complete with crafts for Natey and great memories to be made. Hope you all are wonderful!! Dr. Trent is originally from Arkansas. She decided residency would be her one shot to get out of Arkansas, and also hoped that she would find her husband in a different part of the country, so residency brought her to Michigan. 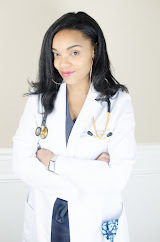 She is in her 2nd year of family medicine, however, is currently interviewing for obstetrics and gynecology. Her hobbies are traveling, going to the gym, running (she is run coordinator with Black Girls Run - Ann Arbor), and her diet and fitness blog Divas4fitness, and of course her family. Future (or Current) Specialty: Currently a family practice resident, but interviewing for obstetrics and gynecology. Did you do any post-undergraduate schooling or working before attending medical school? Did you have any of your children during medical school? If so, how did you “plan” for it? No, both were born during my undergrad years. They both attend school full time. I have an in home babysitter for the mornings to get them off to school, especially for the younger one. My younger sister moved to Michigan with me during my intern year and helped tremendously. What has been the biggest challenge to handling medical school (and/or practicing medicine) along with having children? How have you overcome it? Probably the mom guilt. 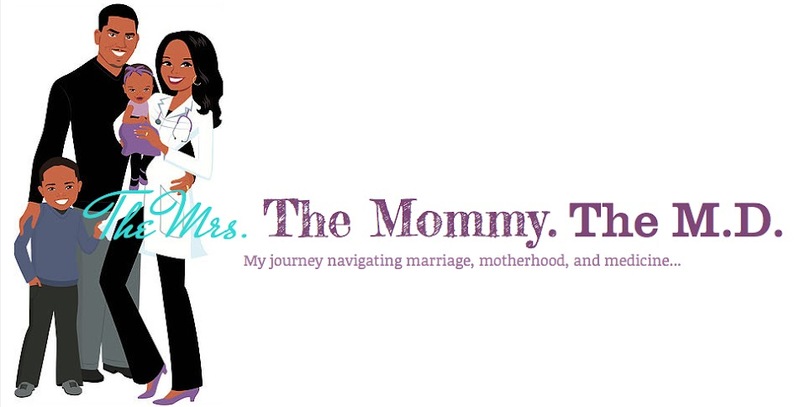 I'm a single mom, so I do not have the time or resources to put my kids in as many extracurricular things that they may like, simply because I can't do it all. Also, the guilt of having to study, or work long hours, being tired and having to come home and cook dinner and do homework. One gets stretched pretty thin, and if you aren't organized, your life will be a mess. Do you feel like your school/job is “flexible” to any family issues that may arise? Semi, I am a resident, so I don’t control much of my schedule. There are certain rotations that I know there is flexibility; however, there are also other rotations where there is zero. Those rotations, I just have to grit my teeth and get through the month. I live and die by my planner. I write everything down from my work schedule, gym time, dinner menu, and kid responsibilities. Without my planner, my life would be a mess; I am in it all times of the day. It helps me stay on track, and allows me to get as much done in a day as possible. If something wont fit into my schedule for the day, they I accommodate that. My plan is to get a bigger calendar to allow my children to also see my schedule and input theirs as well. What kinds of things do you do to “relax”? Do you feel that your experience as a mother has made you a better doctor or future doctor? If so, how? I do feel that my motherhood experience makes me a better doctor. It helps me to be able to be more compassionate to certain circumstances. It also helps me to talk with the teen moms that I work with in clinic. I am able to give them real life example….myself. I am also able to talk more than just what “data “ says, but what I've tried that worked. What advice do you have to the women who want to pursue medicine with children? Pursue your dreams no matter your circumstances. Your kids want and need the best you, so if you aren't happy in your career, then that may carry over to your family life. It also teaches your children to follow their dreams. I was a teen mom, married and divorced very young. Despite all of this , I never lost my dreams. I suggest talking to other moms. In medical school, I always made friends with the moms who had children. One of my best friends currently I met this exact way. Labels: motherhood, Mothers in Medicine, See It. Do It.